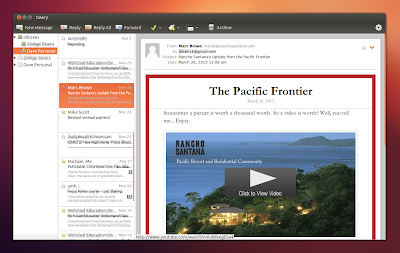 Geary is a modern email client for the Linux desktop. Its a fresh approach to email. Whats with that new compose box in Gmail? No more screwy updates like that. With Geary you will go “advertisement free” and fit right into YOUR email like a comfortable leather sofa. Its YOUR email after all, not Gmails or Yahoos. Its time to take control over email again. Geary is incredibly easy to use. You type in your email address and password and your Inbox appears. Geary organizes your email as conversations, not as threaded trees of who-replied-to-whom. It’s a snap to blast out a quick reply to a friend and then archive the conversation for later. In using Geary email app the first thing I notice is no clutter. Im not confused by flashing ads, promotions, google bar, chat box, etc. The icons are clearly defined and preferences kept to a minimum. Geary is still in early development and you’ll notice some limitations, but they are hard workers and trying to do a lot with a little. 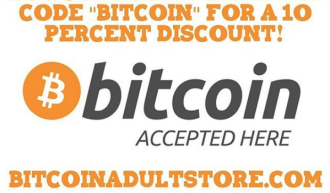 Thats why they set up a crowdfunding campaign. Developing software, writing code…. its no easy task. If a clean, modern, lightweight, open source & BEAUTIFUL email app is something you are interested in using consider donating to the campaign. The newest version of Geary 0.3 was released on March 19, 2013.